Planet People Project is the library's proactive program series about building resilient communities and ecosystems. Each month, we host two events exploring a different theme on the topic of sustainability. April's theme is Food Systems. 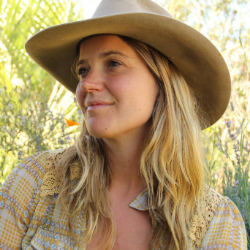 April's guest speaker, rancher and author Doniga Markegard, will speak about why grassfed beef is a sustainable form of agriculture that builds soil, sequesters carbon, captures and purifies water and enhances habitat.